essentials for men on a mission. Our signature product is Instant Beard Color, a brush-on, waterproof, liquid color that applies in seconds, dries instantly and makes coloring beards, mustaches and sideburns better. No dye. No developer. No gloves. No mess. No problems. Try it out in your shop and help clients face the day with confidence. Jay Majors put VOLT to the test. 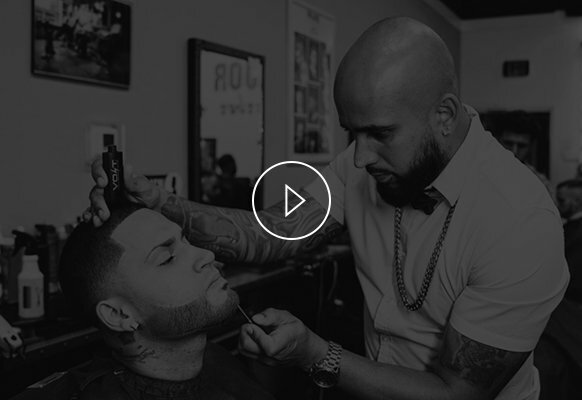 Check out the video and see VOLT Instant Beard Color in action at his Major League Barbershop. Barbers, salon pros and make-up artists love VOLT. Bring VOLT to your shop for in-salon services and retail sales. Already an approved VOLT wholesaler?